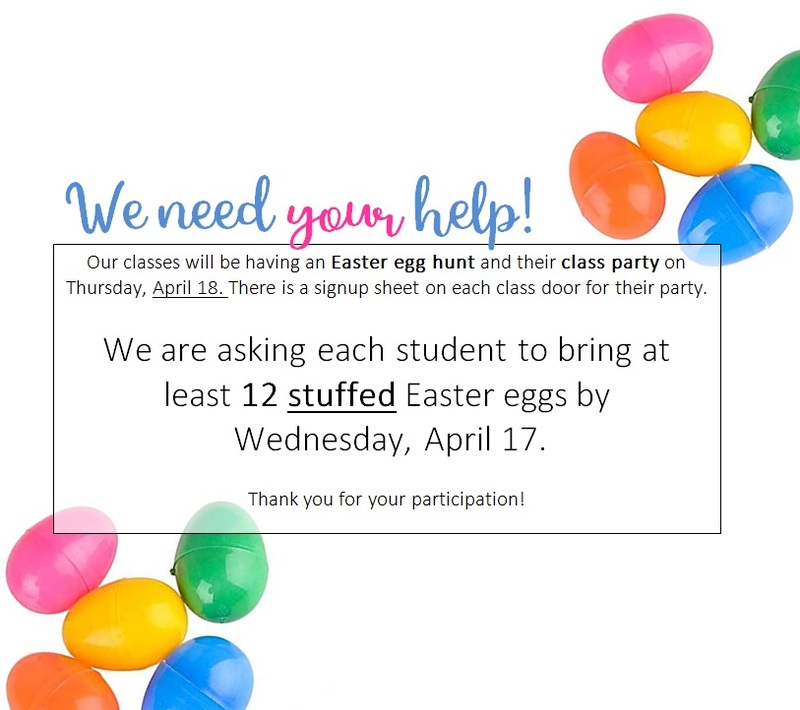 We have our egg hunt and class parties on Thursday, April 18th. 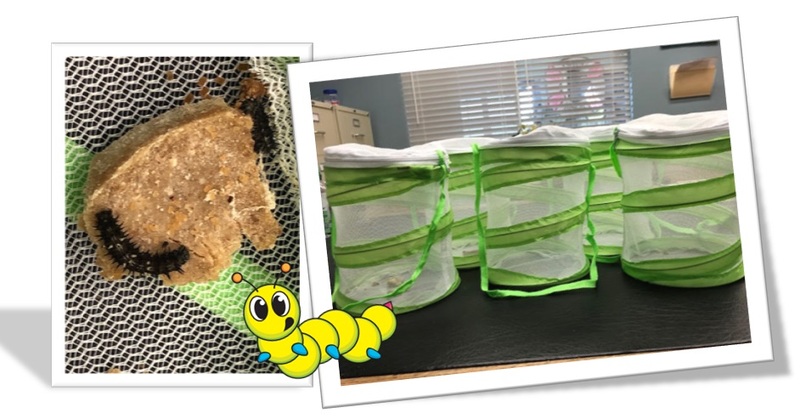 We got our caterpillars here just in time for our life cycle week! We are so stoked to watch the different stages of a butterfly. 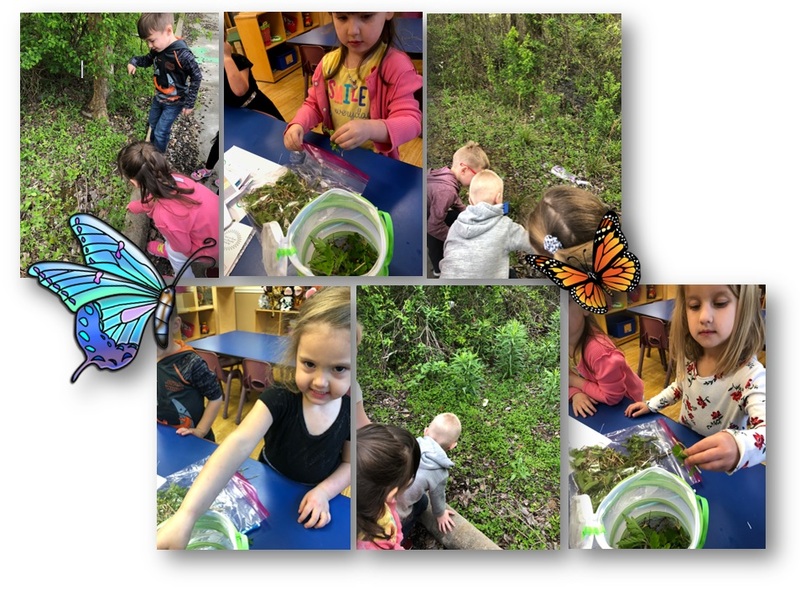 Our Bridge class went on an adventure to gather items around the preschool for their butterfly habitat. Happy Spring! Spring is officially here and we are so stoked! 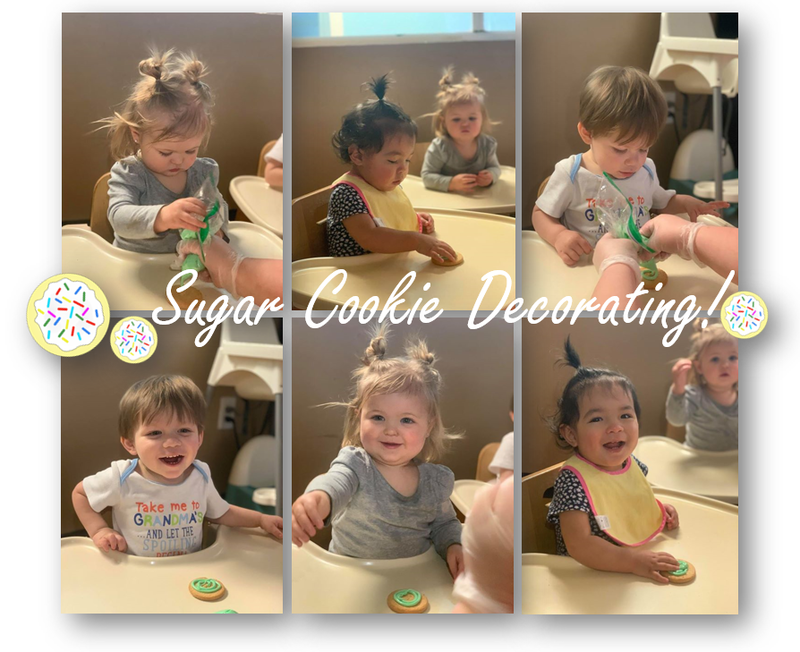 Our infant 2 class even decorated sugar cookies to kick off the start of spring. We hope everyone is having a fun and safe spring break week! We are really enjoying the extra time we have with our School Agers this week! They have done some fun projects such as making Shamrock Shakes, Pull String Art, and M&M Cake Cookies! 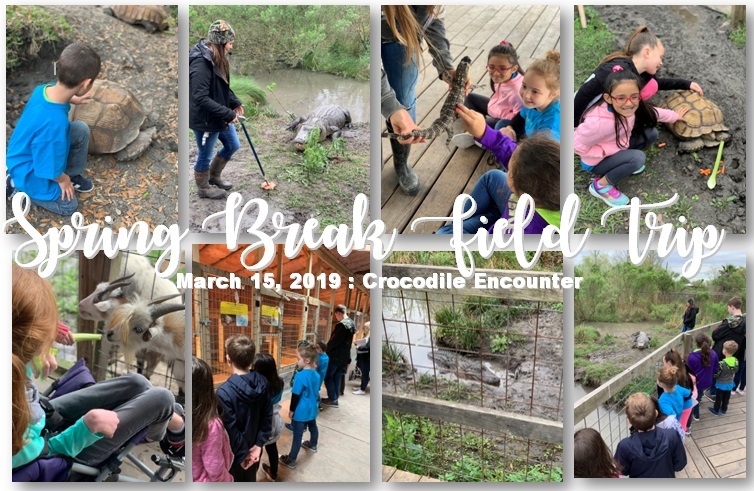 Our School Agers went on a field trip Friday, March 15, 2019 to Crocodile Encounter. They had so much fun and even got to “pet” a baby crocodile! In addition to covering St. Patrick’s Day and Rainbows, our classes have been hard at work with this week’s practice letter, “J”. Our Younger Twos and Older Twos created a four leaf clover out of their hand prints! Rainy, Cloudy, Sunny, Foggy, etc… we have been talking about each of these weather conditions. Our classes have been observing the weather very close this week. Each day our students have discussed the weather. We also have sang some fun songs such as “Rain, Rain, Go Away” and “Mr. Golden Sun”. 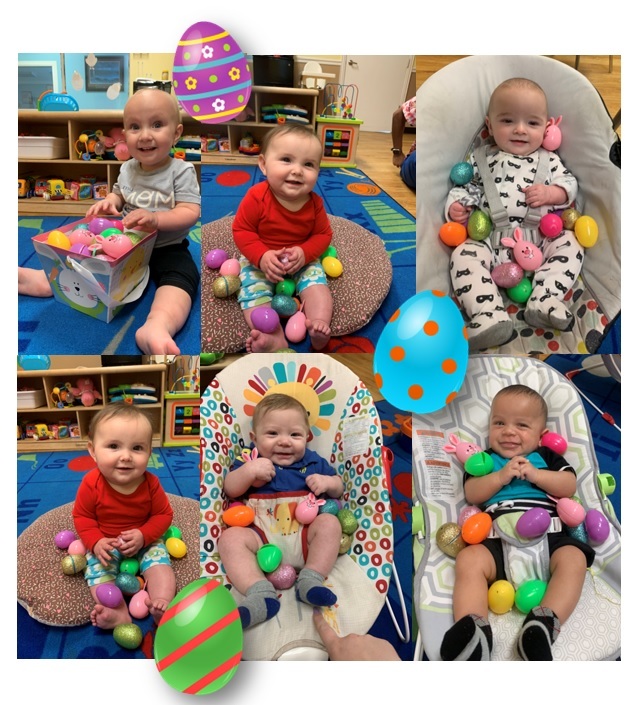 We have had so much fun with this unit! 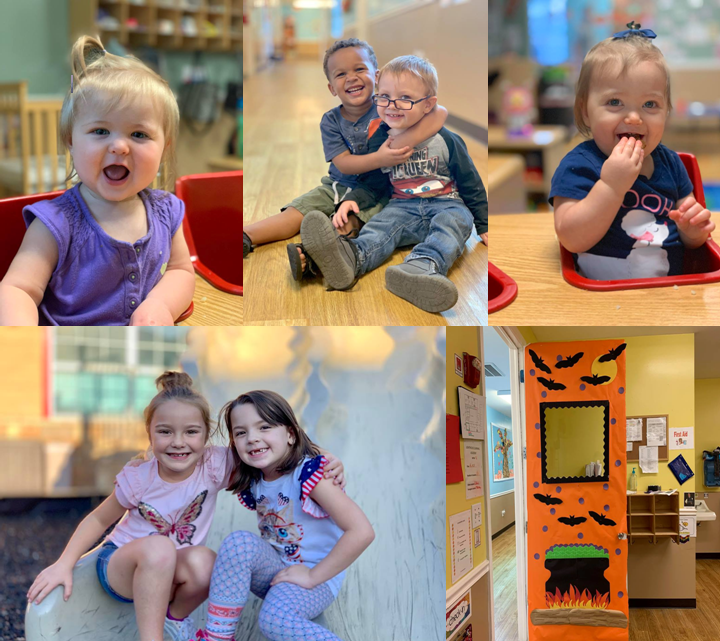 We had so much fun this week! We read some Dr. Seuss classics and learned about poetry. 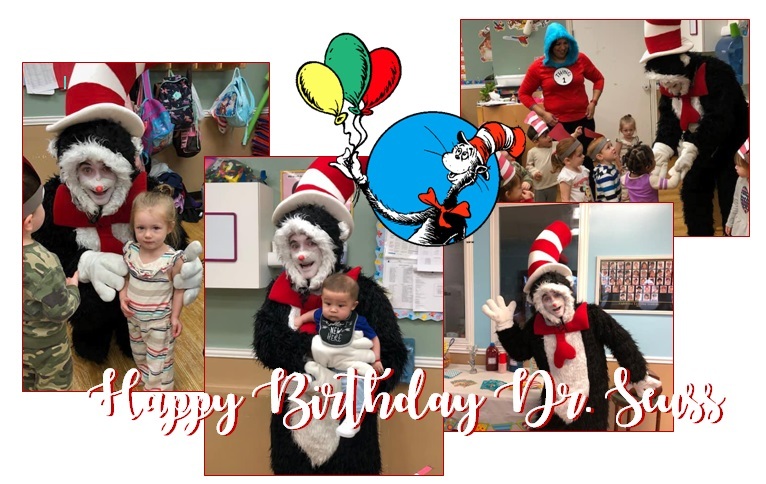 We celebrated Dr. Seuss’s birthday. 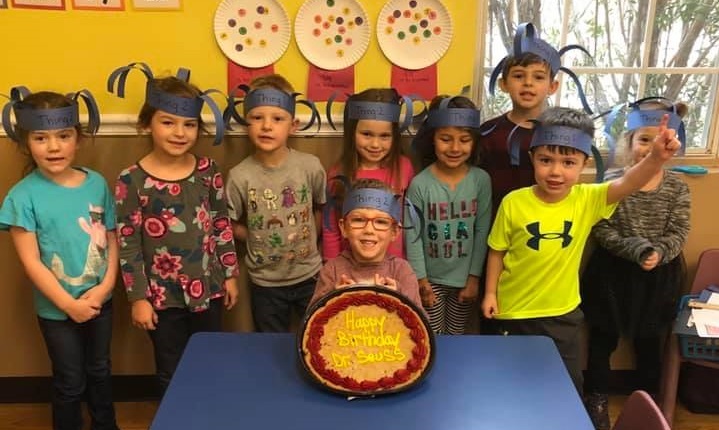 Our Bridge class even got him a special birthday cake! 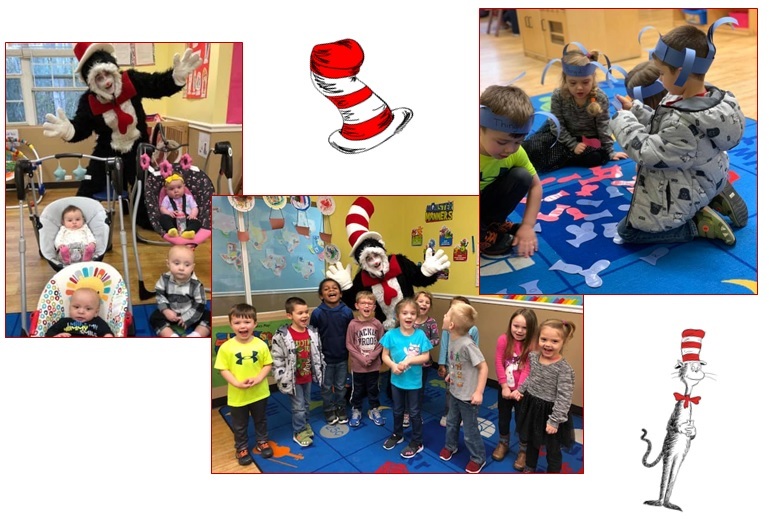 Cat in the Hat even came by to say hi to our students!! This week was about helpers with in the community. We talked about doctors, nurses, chefs, bakers, astronauts, soldiers, teachers, dentists, mail carriers, bus drivers, coaches, babysitters, fishermen, plumbers, firefighters, farmers, librarians, and volunteers. We discussed their roles and how each helper is important in our community. 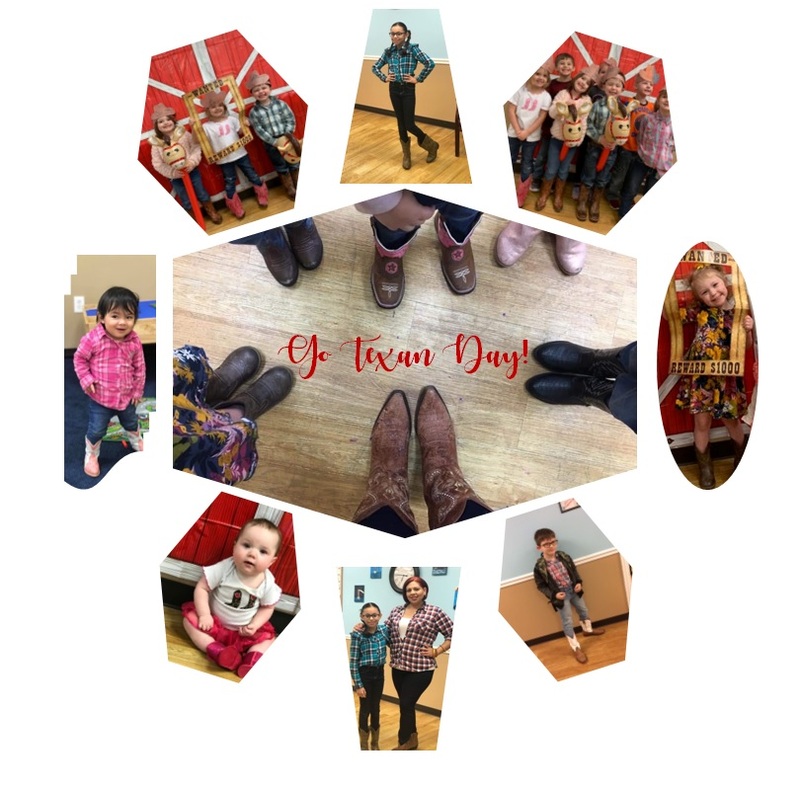 We got to show off our Texan pride by wearing our western wear! Our staff has been busy preparing and decorating for Valentine’s Day. 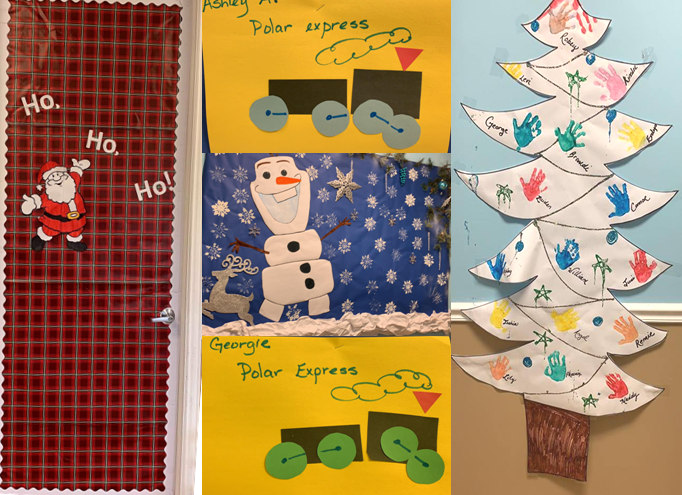 In fact, our staff members are competing in a door decorating contest for a free pizza and ice cream party for their classroom! 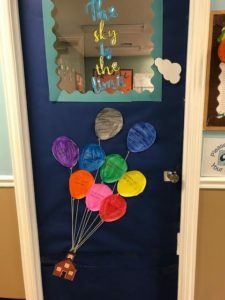 Head over to our Face Book page to vote for your favorite door. (Click HERE!) Voting ends this Friday, February 15, 2019! 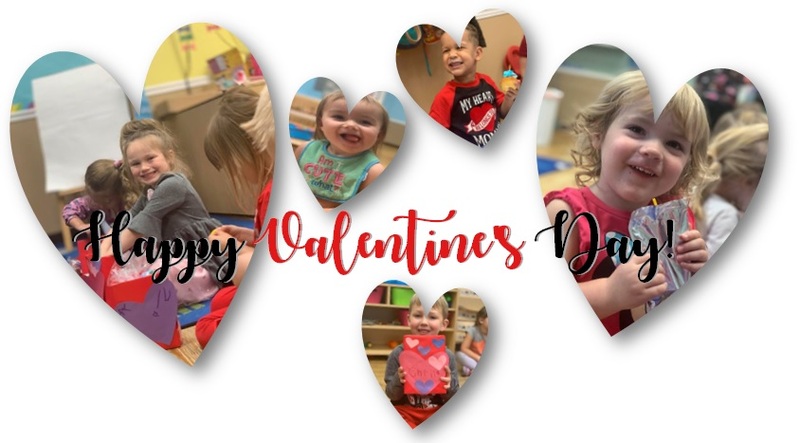 Each class celebrated Valentine’s day by having their class party and exchanging goody-bags and cards! This week is all about dental health! 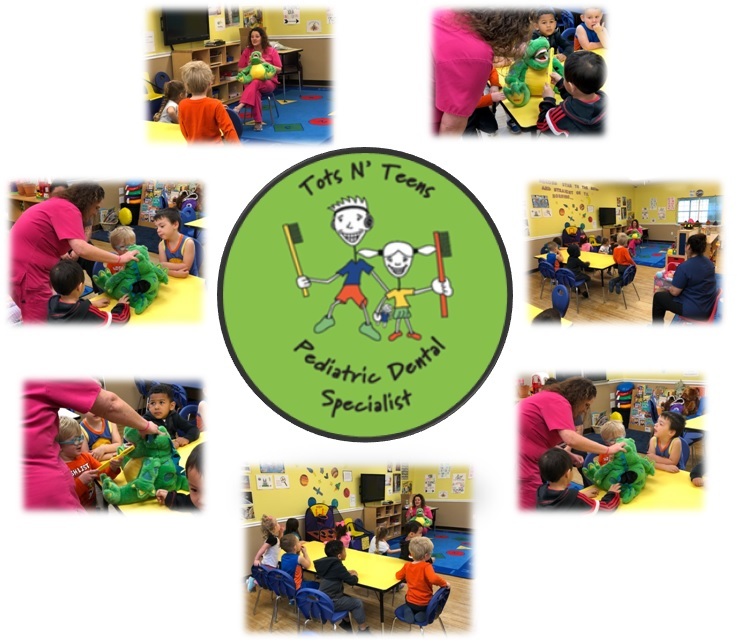 Today we had a dental hygiene presentation from Tots N’ Teens Pediatric Dentistry. 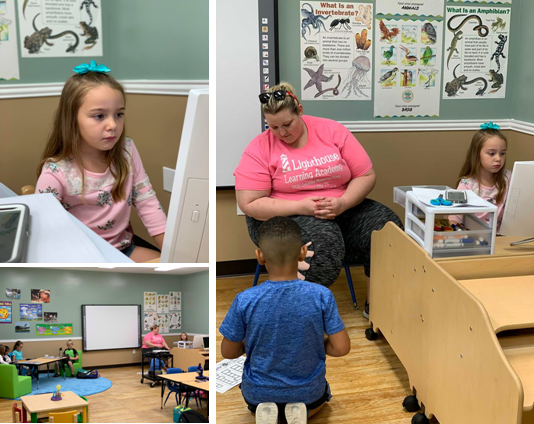 Thank you for coming to our school to teach our Pre-K and Bridge class all about this. 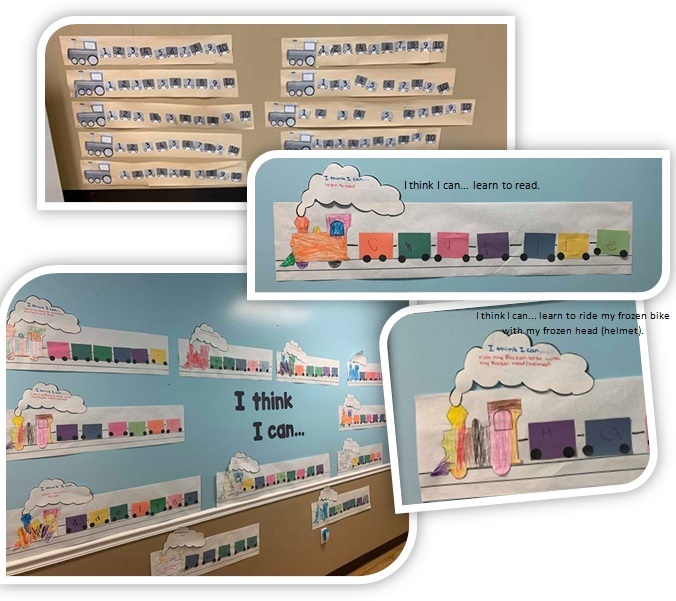 number train, had class discussions about their parent’s cars, and even made “I Think I Can….” trains. 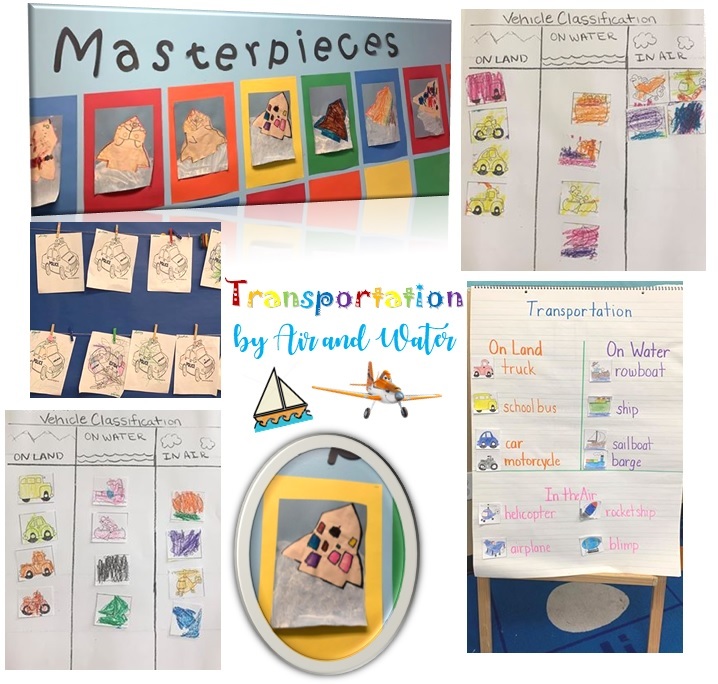 different types of transportation by air and water! 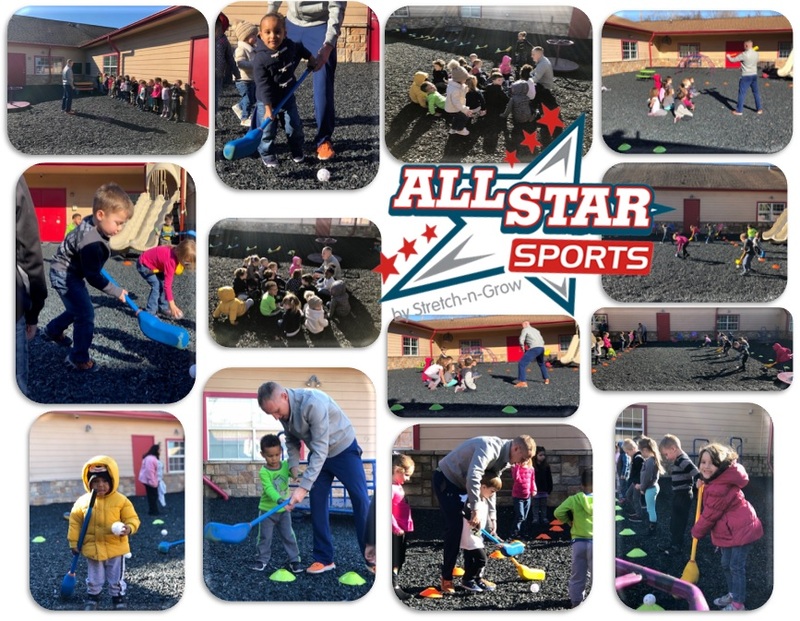 This Thursday we had our Stretch N’ Grow All Star Sports Demo Day! wonderful program, see the front desk for information on how to sign up! 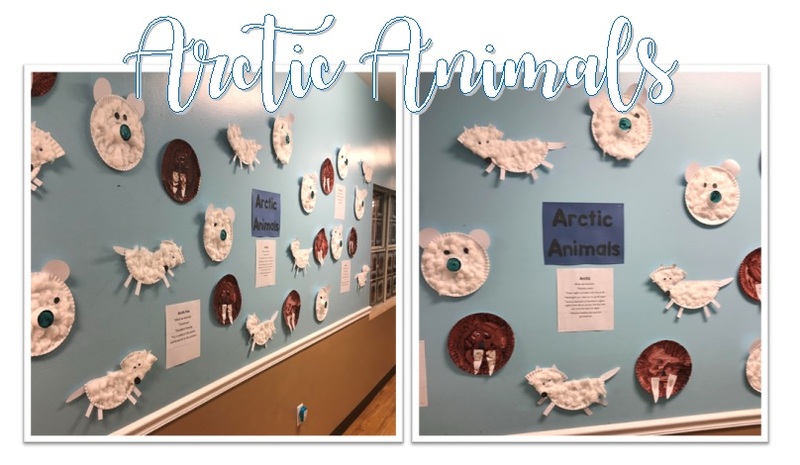 This week we covered arctic animals and learned some interesting new facts. We discussed polar bears, walruses, arctic foxes, and more! 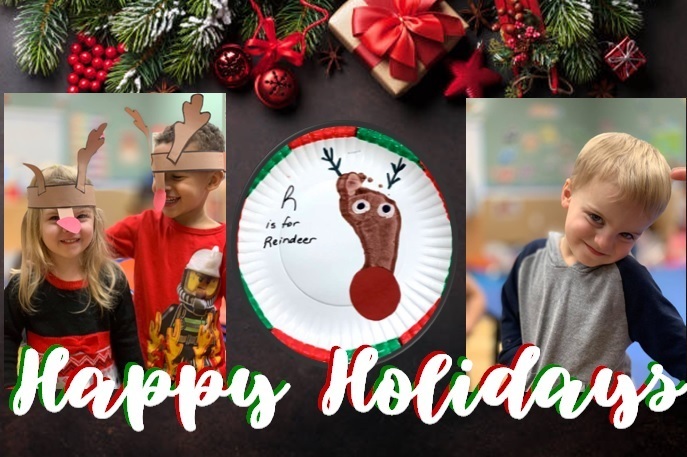 The preschool students worked hard at creating arctic animals out of paper plates. 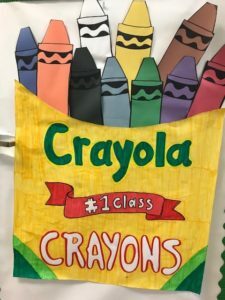 These are displayed outside of their classroom. 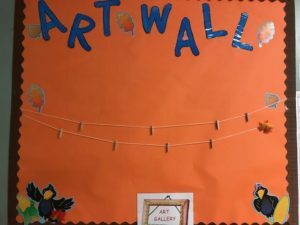 We love seeing our student’s artwork displayed in the hallways! 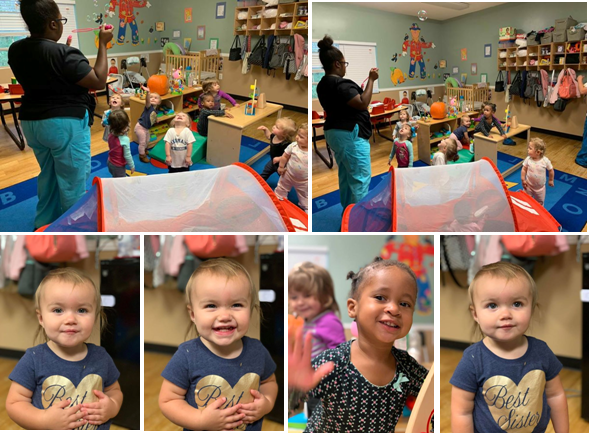 Our Infant II class has been working on some new sign language and they sat very patiently while the teacher taught them! 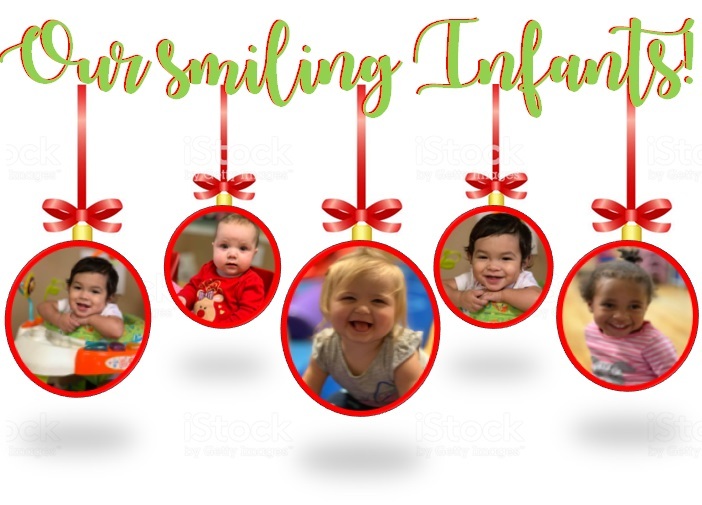 These smiling faces always brighten our day. We hope everyone had a safe and wonderful New Year’s Eve! 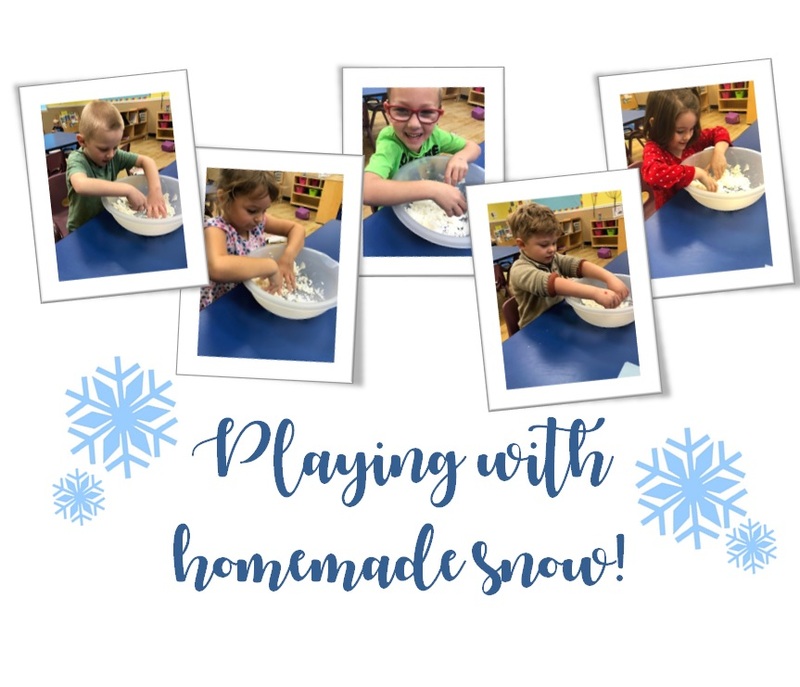 homemade snow! The students loved this. 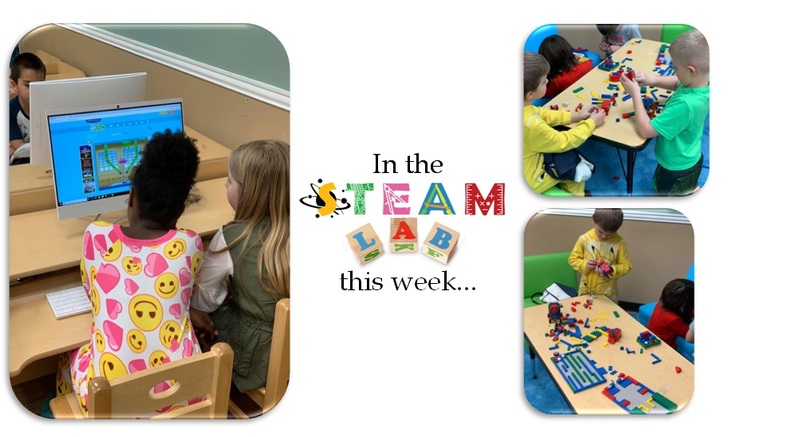 The school aged students have been able to make such great use out of our STEAM Lab this week. 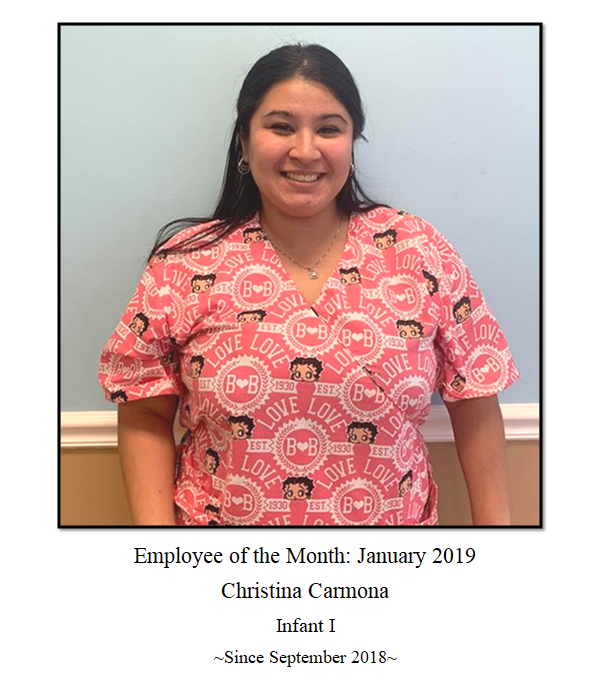 Also, we would like to announce our January 2019 Employee of the Month. Congratulations to Ms. Christina! Thank you for all of your hard work. Merry Christmas! We hope everyone had an amazing holiday! We had such a wonderful week. 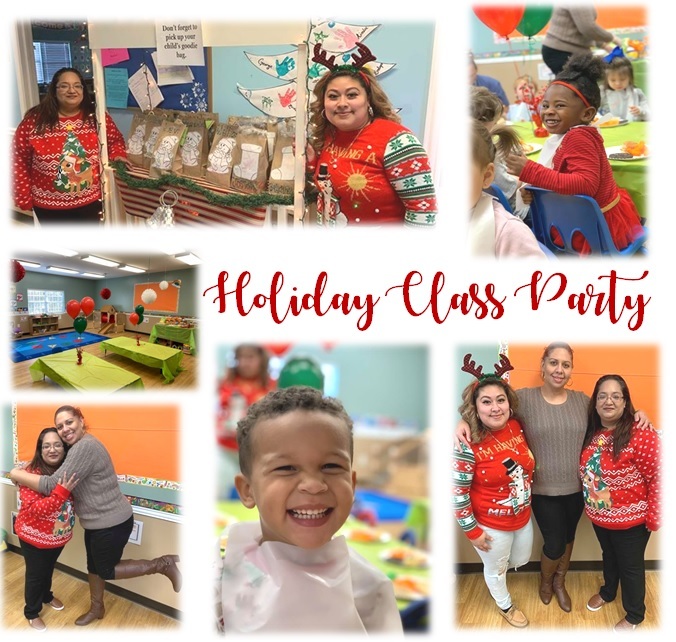 Our students enjoyed their class parties. Thank you to all the families who signed up and brought stuff! (Monday, December 24th) and Christmas Day (Tuesday, December 25th). We will return to normal business hours on Wednesday, December 26th. This week we learned all about the gingerbread man! Our Bridge class got to paint their own gingerbread men and they created their own hand print ornaments! 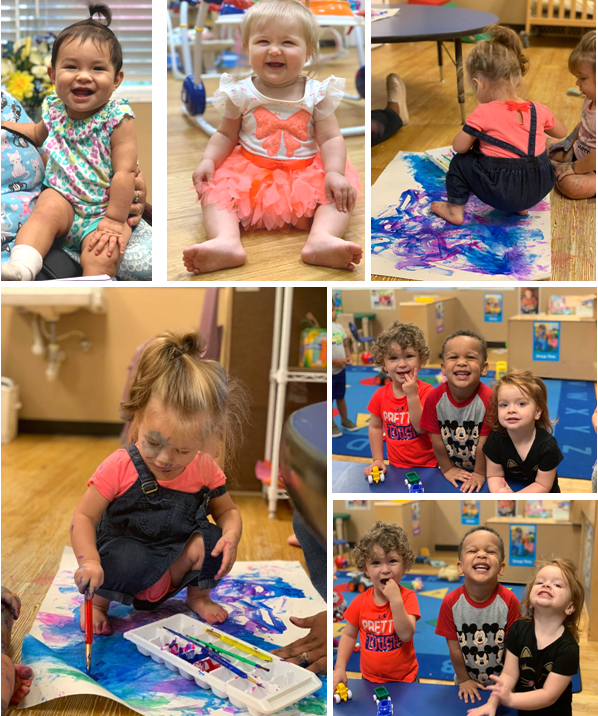 Our Infant 2 class explored their creative side by painting as a class. They had a tremendous amount of fun! Our staff has gone above and beyond this year for the holiday season! ANNOUNCEMENT: Lighthouse Learning Academy will be hosting a Parent’s Night Out on December 21, 2018 from 6:30pm-9:30pm. We will provide dinner, have activities, and movies for the children. Any of our students are welcome to come! This is $20 per child that must be paid in cash. This can be paid in advance or on the night of. Make sure to sign up, there is a sign up sheet in the lobby on the front desk! Trustworthiness, Respect, Responsibility, Fairness, Caring, and Citizenship are what we learned about this week. These are the six pillars of character. We showed random acts of kindness all throughout this week! Our classes discussed what each pillar meant to them and how they applied it to their everyday life. 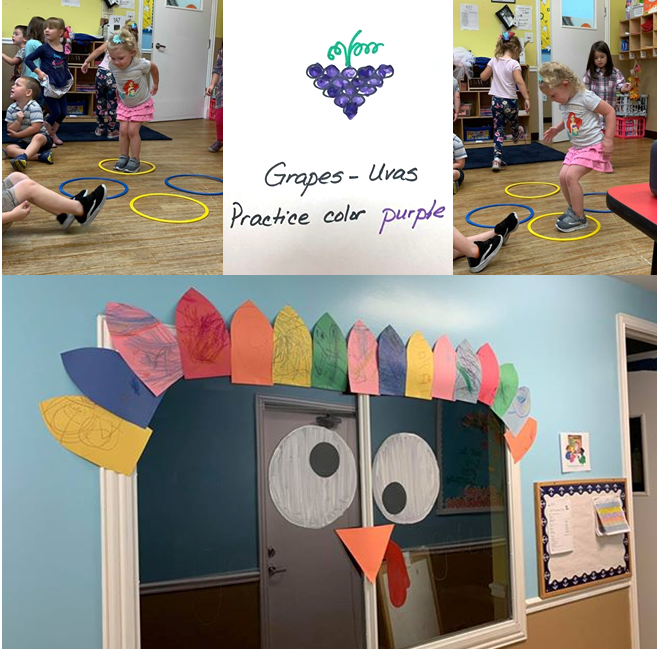 This week we discussed and prepared for Thanksgiving! The students thought about and shared with the class everything that they were thankful for. In addition, the classes talked about their favorite thing about Thanksgiving. 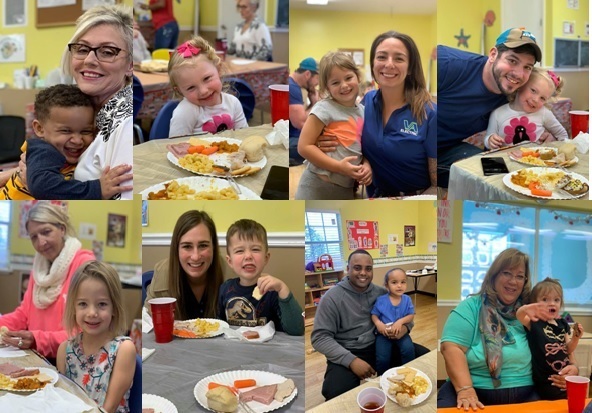 Some students enjoyed spending time with their families and others enjoyed all the yummy food! Speaking of food, the students shared their favorite Thanksgiving side dish and dessert. The Two’s classroom created adorable footprint turkeys to take home. All of us enjoyed having our School Agers here during the fall break. They made great use of the STEAM Lab. We hope each of you all have a wonderful and safe holiday! Our teachers have been hard at work creating lessons for Health and Safety week. We reviewed fire safety from Oct. 8 – Oct 12. In addition to talking about safe practices, we also had our Thanksgiving Feast on Friday. We had such a wonderful time. Thank you to all who showed up! Congratulations to Keisha Fletcher and Amanda Carroll for winning our dessert and side dish contest! 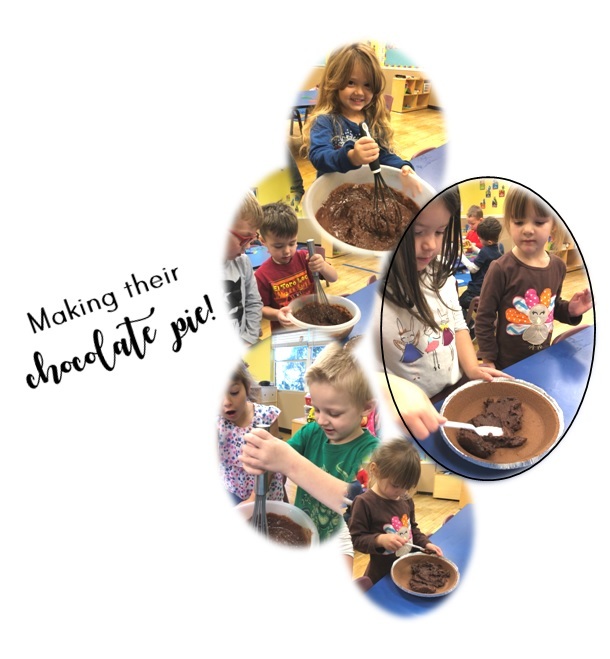 The Pre-K and Bridge class enjoyed making a Very delicious chocolate pie for the Thanksgiving Feast. Our students did such a wonderful job performing their special Thanksgiving songs! 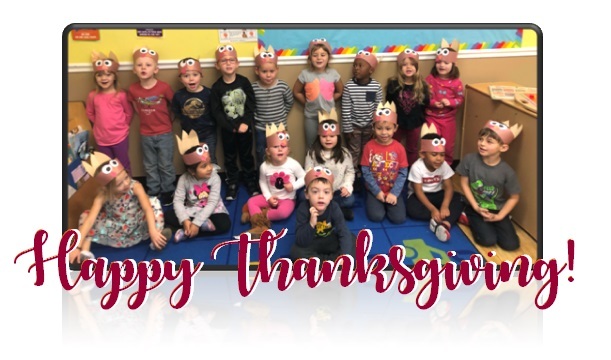 Lighthouse Learning Academy will be closed Thanksgiving Day (November 22, 2018) and the following day (November 23, 2018). We will return to regular business hours on Monday, November 26, 2018. This week was all about fruits and vegetables! We discussed how important they are to have everyday. The classes pointed out the fruits and vegetable with very meal that was served. The Two’s class had fun painting grapes with their fingertips! They also talked about the color purple in both English and Spanish! As always, the students had a blast with coach Rob from Stretch N’ Grow. -LLA has an attendance cut off time of 9:30AM. Every child must be in care before this time. -As the weather is getting cooler, we ask that there is a jacket provided for the child(ren) for outside play time. -Please refrain from bringing toys into the classroom as it causes a distraction. -Please make sure to bring an extra change of clothes for your child(ren). Our students have been learning about the different types of insects this week! 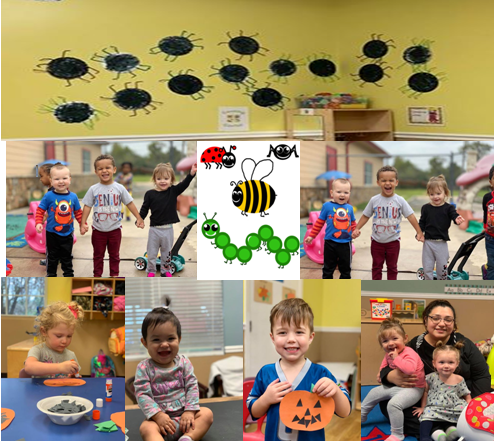 Our Pre-K students each got to create their own spider and their own pumpkin. Our students were able to go into our STEAM Lab to explore all different types of insects. 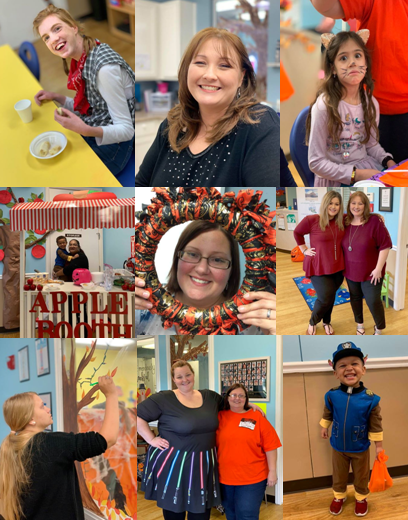 Here are some of our fall festival pictures from last week. We had so much fun! This week was so wonderful! 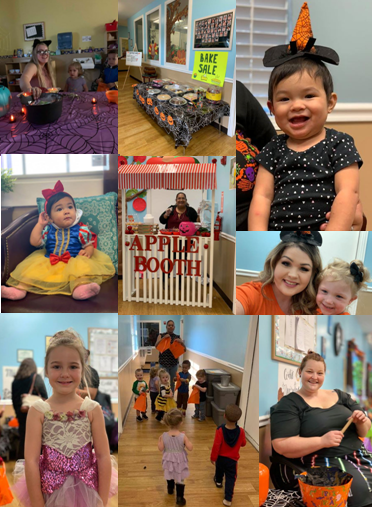 The Fall Festival had such an amazing turn out! 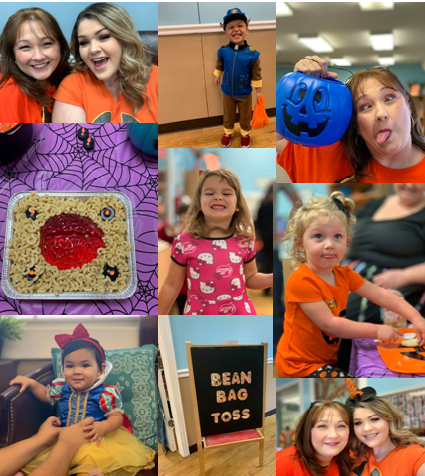 Thank you to everyone who came and to all of the parents who donated candy, prizes and baked goods. 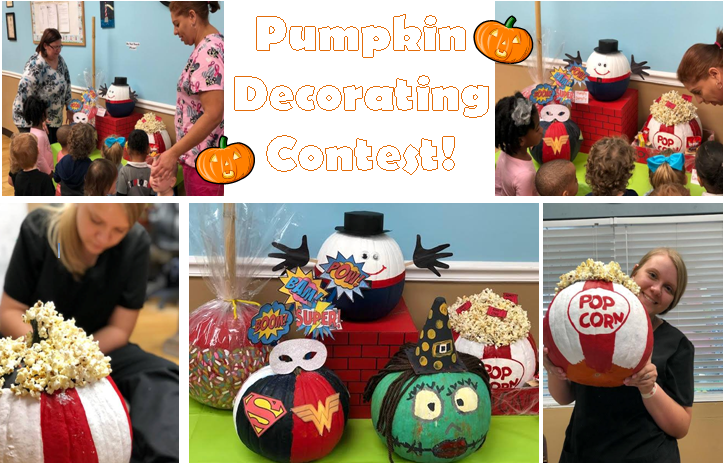 Our Pumpkin Decorating Contest has come to a close! Thank you to all who voted for their favorite pumpkin. All of our staff members did a phenomenal job decorating these! We were SO impressed with the outcome. Congratulations to Ms. Rebecca for winning the contest! Her class will get a pizza party. 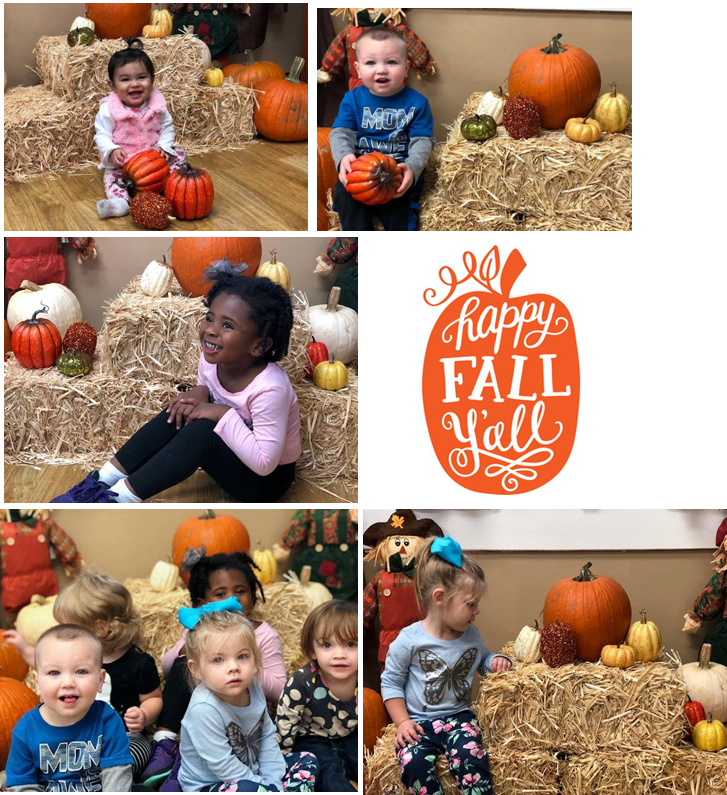 Some of our smiling faces this week as we prepared for our fall festival! 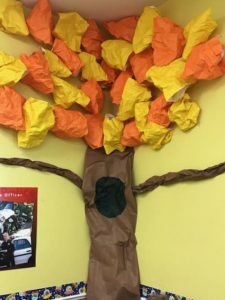 This week our students have enjoyed learning all about trees and leaves. We have discussed fall weather and the different colors of leaves. Our students enjoyed looking outside their class window at the different types of trees and leaves. received a pumpkin to decorate. These pumpkins will be on display in the front office next week to be voted on. by not playing with matches or lighters. We encourage families to talk about this at home as well. 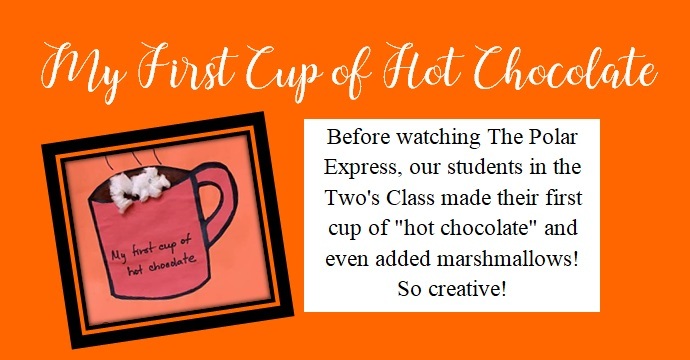 Our staff has found creative ways to to incorporate this theme in their daily lessons! like you can help out, please bring your item(s) to the front office no later than Wednesday, Oct. 24th. This week we have had a marvelous time learning all about Harvest and Nutrition! You may have noticed the fall setup located near the front office. Feel free to take pictures of your child(ren) here! 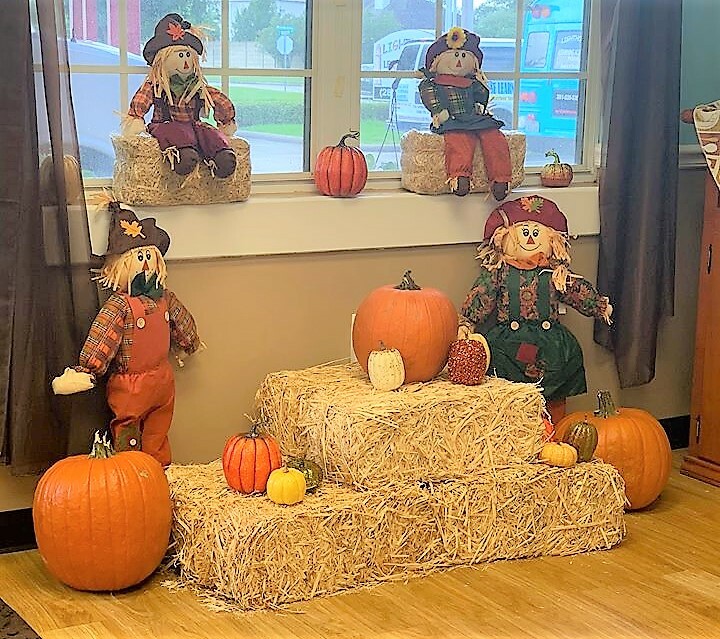 As our Fall Festival quickly approaches, we are asking for donations. 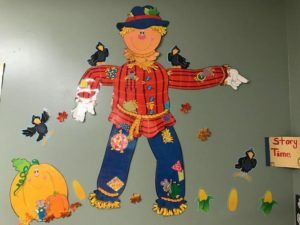 The Fall Festival will be on Friday, October 26th. We are asking that all donations are turned in by Wednesday, October 24th. The items may be brought to the front office. Thank you for your participation! 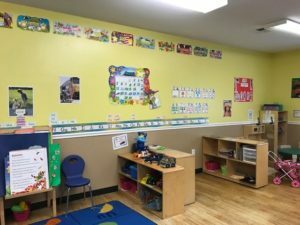 decorate their classrooms and giving their input. Now that we have our STEAM Lab up and functioning, we have been making great use of this! students to focus on their homework with minimal distractions. Our infants and toddlers have had an extraordinary week exploring harvest and nutrition. back of the building located near the Two’s Classroom. This was created by Ms. Linda and Ms. Maria. 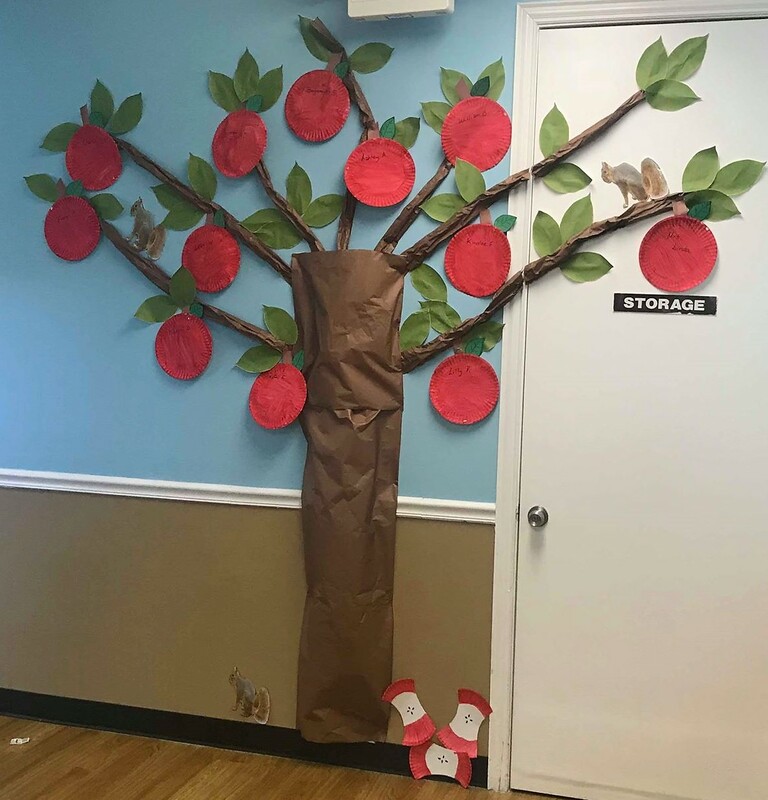 Each student in the two’s class painted an apple that is now on the tree. Fantastic job Two’s, this looks amazing! 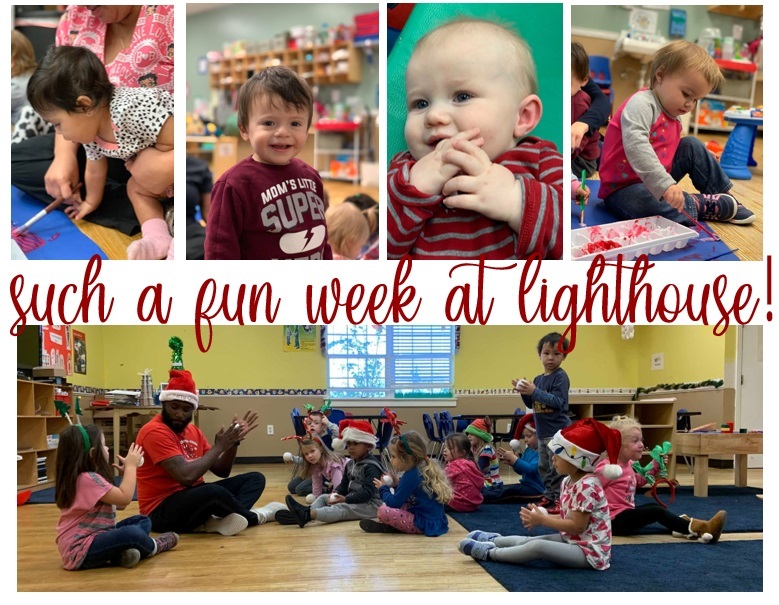 October is approaching quickly, so Lighthouse is getting ready for fall! Our staff has been working extra hard this week on decorating their classrooms! 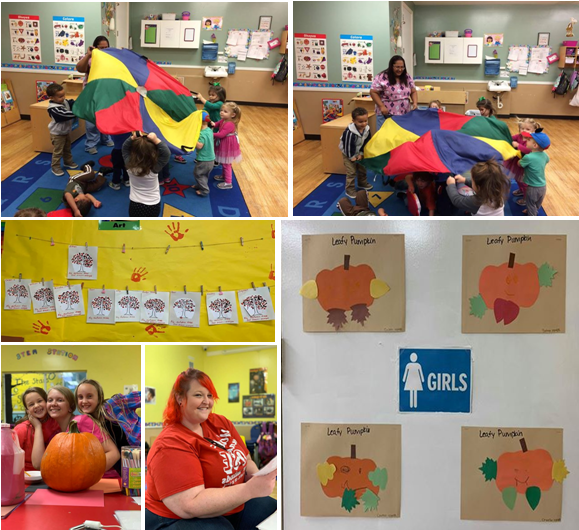 Below are just a few pictures of some of our fall decor and crafts! 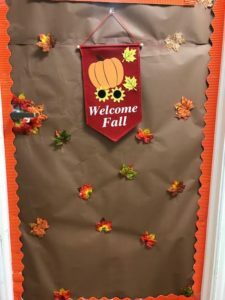 We loved Ms. Amy’s idea for her classroom door. The students all worked together to paint the background for the door. creating this and we love how it turned out! Thank you to all of our hard working staff who made this such a fantastic week! Stay tuned for next week when we discuss Harvest and Nutrition! 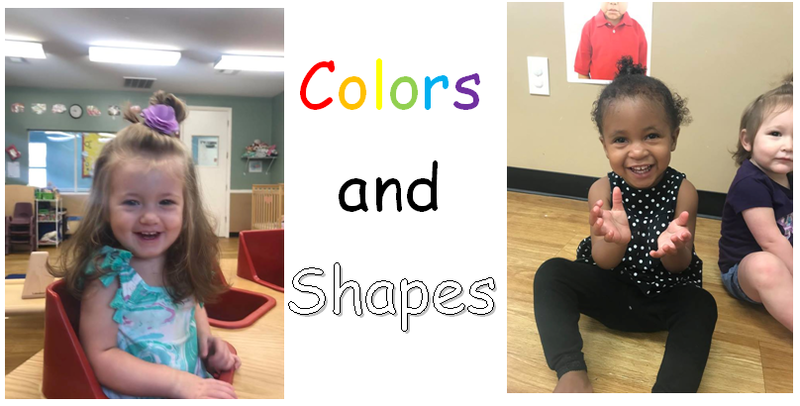 This week was all about colors and shapes! 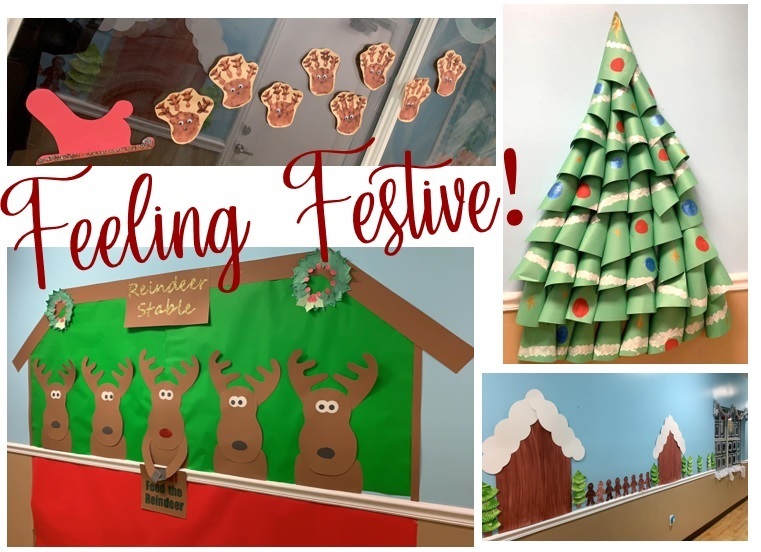 Our teachers and students have had so much fun with this theme. 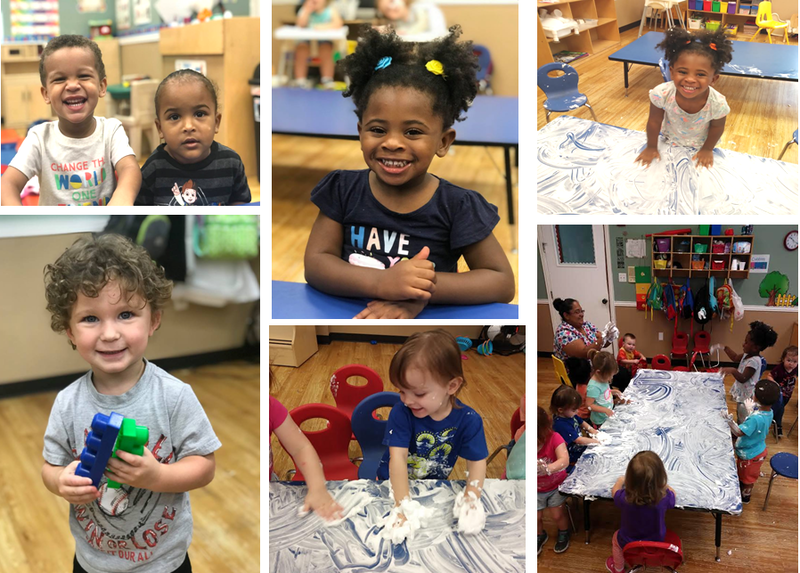 creative side by drawing shapes in shaving cream. The students in this class also identified different colored building blocks. The students have had a blast! 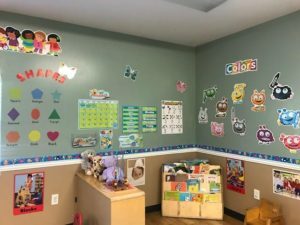 all of the colors and shapes located through out the classroom! 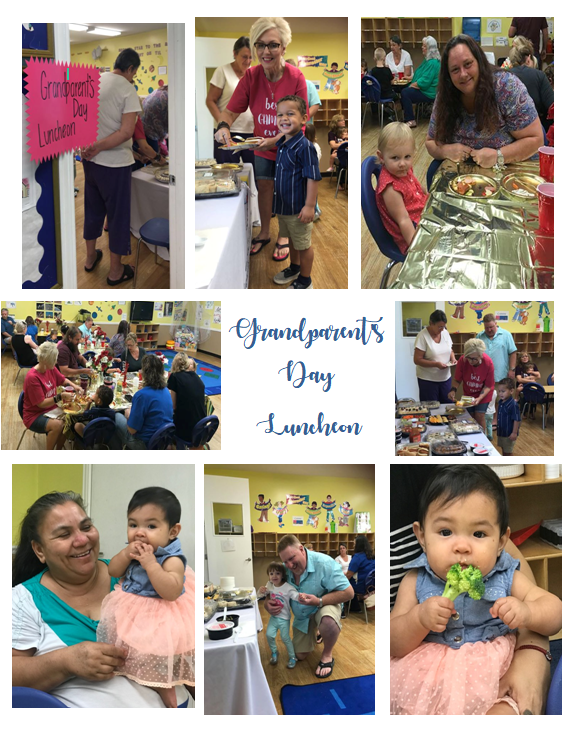 hosting a Grandparent’s Day Luncheon. Thank you to all the families and grandparents that participated and made this event a success! We enjoyed seeing and meeting each of you. Another fantastic week! Stay tuned for next week where we will explore The Five Senses! and lessons their teacher planned. In addition to getting to know one another, our students have continued reviewing their letters and numbers this week. 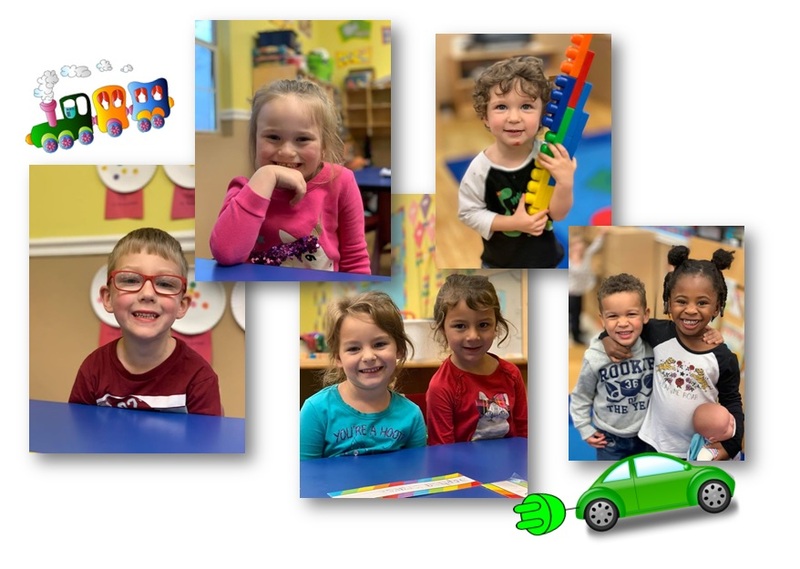 These are some of our students in the Infant 2 classroom! We adore these pictures and love the participation from the parents! 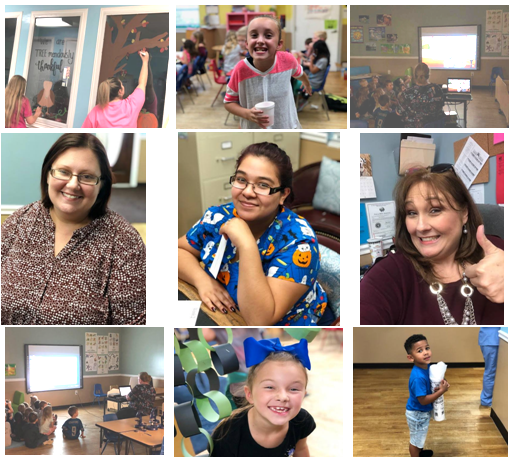 Take a look at some of our smiling faces below! Engineering, Art and Math. 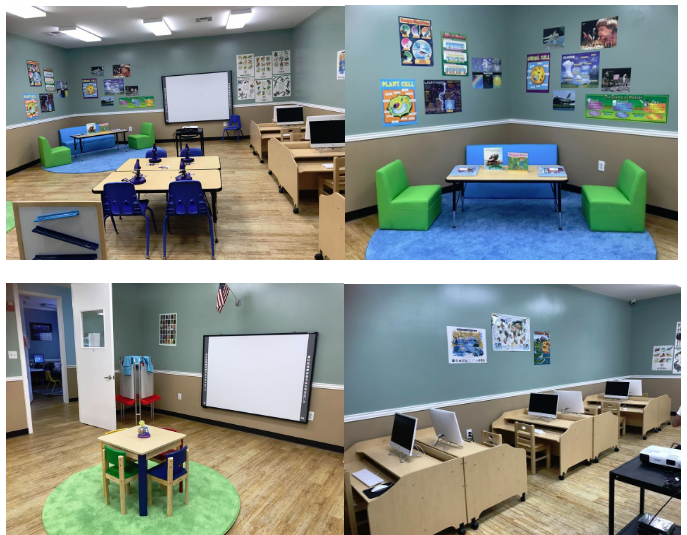 This lab will give children the opportunity to learn computers, Smartboards, engineering and much more! We are very excited about this new addition to our program. It is going to be a great supplement to our curriculum! We had such a wonderful week! Stay tuned for next week! This week our focus was “Getting to Know Each Other” and reviewing our skills. The children are so excited to welcome new friends and reunite with old friends who have been gone for the summer. 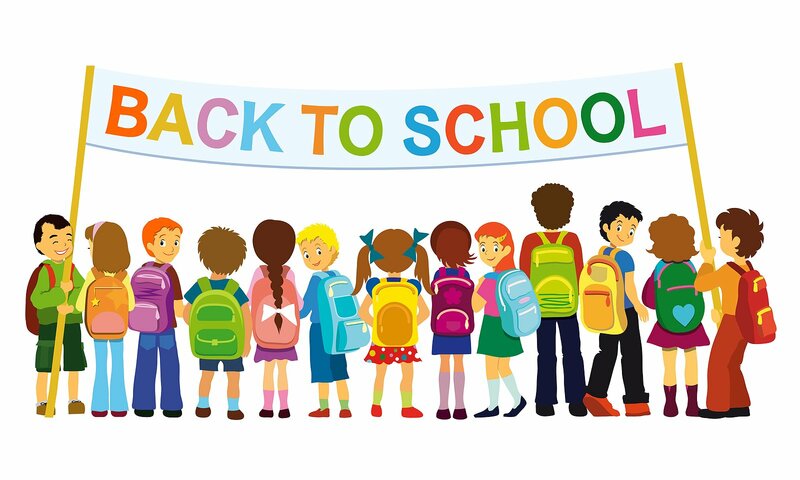 This week is all about getting comfortable in our classrooms with our friends and staff, learning the classroom rules and new schedules. 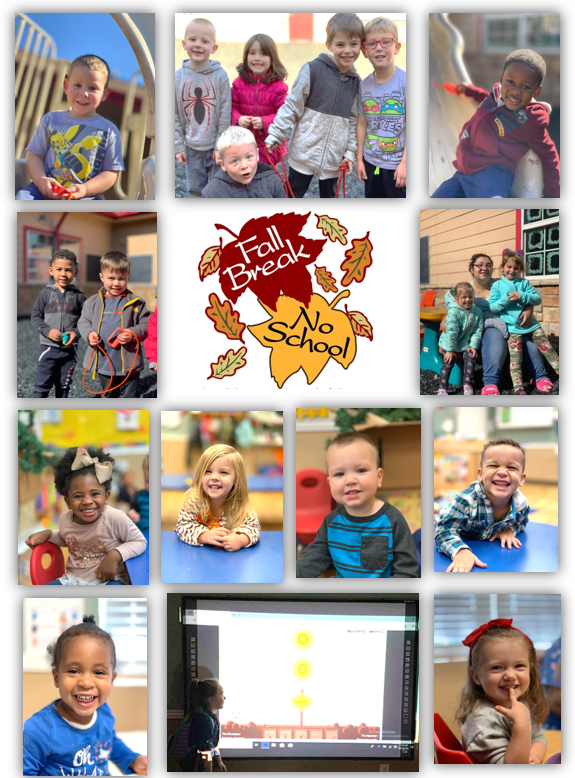 Thursday is Fall picture day at Lighthouse. Laugh Out Loud Photography will be at the center taking fashion photography pictures. This company takes amazing portraits! We are excited to see the outcome! 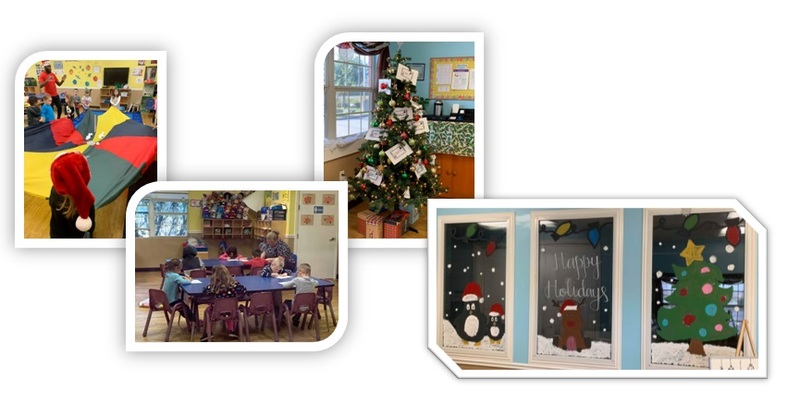 This week you may have noticed the teachers working hard on their classroom environment. During this time, you may have noticed a change in decoration. These ladies have put a lot of thought into this. As a matter of fact, we made a contest! They have enjoyed the friendly challenge! In fact, we’d like to congratulate our School Age teacher, Miss Rebecca and our Two Year Old teachers, Mrs. Linda and Mrs. Maria. They worked very hard and we just couldn’t decide on one! Stay tuned next week for All About Me Week!